Here’s a flat lay of all the items – Swooning over all of them! Most of these items I found in the “dollar” section as you first walk into Target. I place dollar in quotes because although many of the items are just priced at $1, of course they have to throw in some irresistible items for $3. Somehow those always end up in my cart – Go figure! OKAY – really?! I mean how cute is this Bunny Fairy?! Perfect for any little girl! 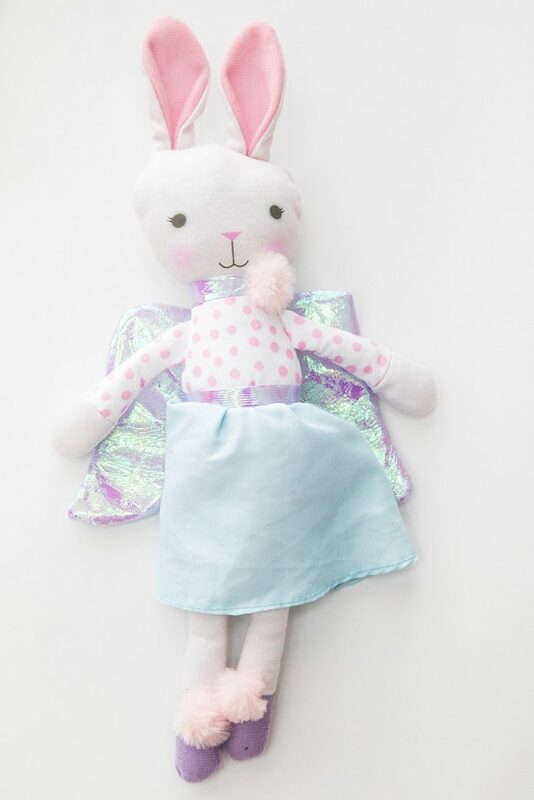 From the shimmery iridescent wings to the pom pom toes, this bunny is sure to bring a smile to your little bunny’s face! 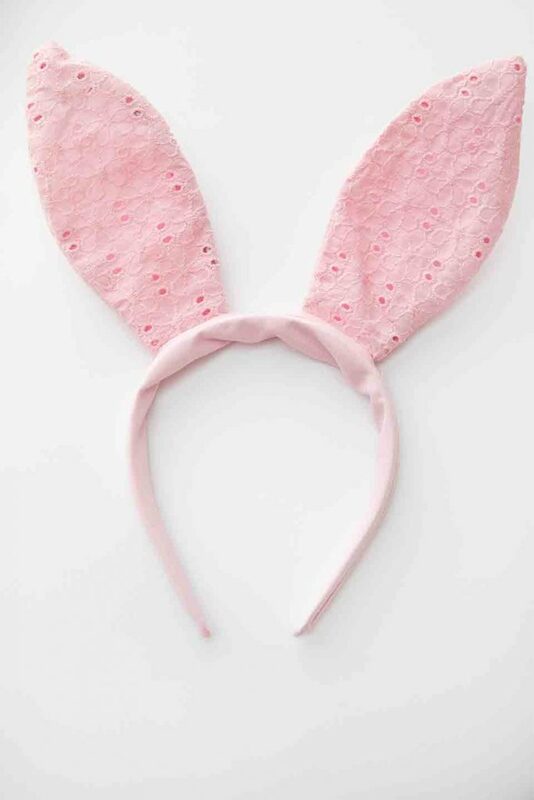 These pink lace bunny ears are the perfect prop for photos with the Easter bunny! 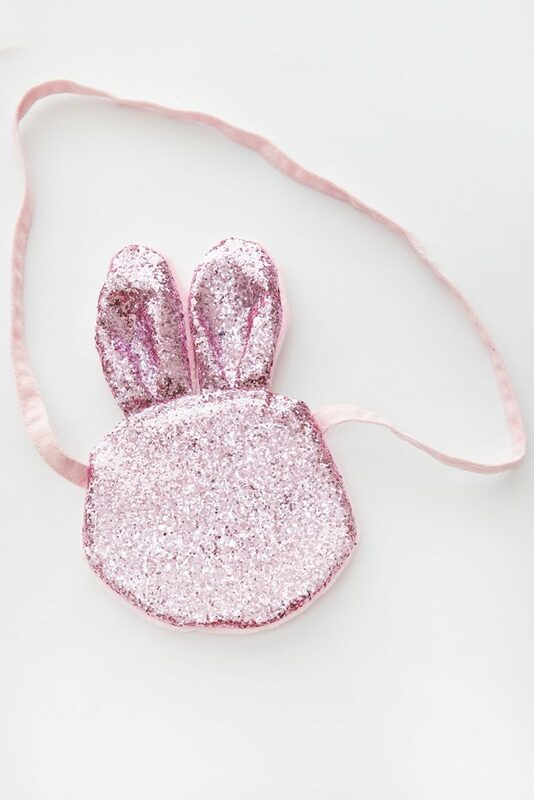 I saw this adorable glitter purse and just had to get it for her! It’s definitely a little old for her, but I couldn’t pass up this cute find. 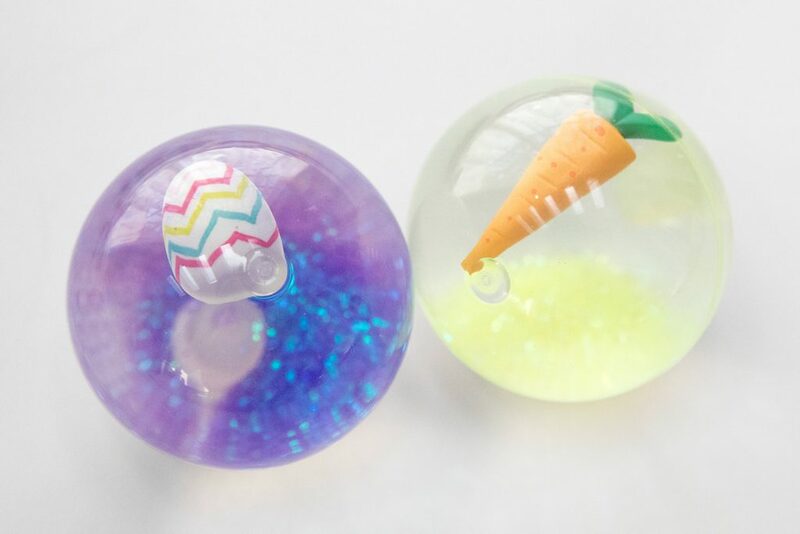 PSA: If you see something you like in the Target “dollar” section – GET IT! It’ll be gone the next time! Kids love coloring – at least I did when I was little! It was something that gave me great joy! Now I can share in that joy with my little one! 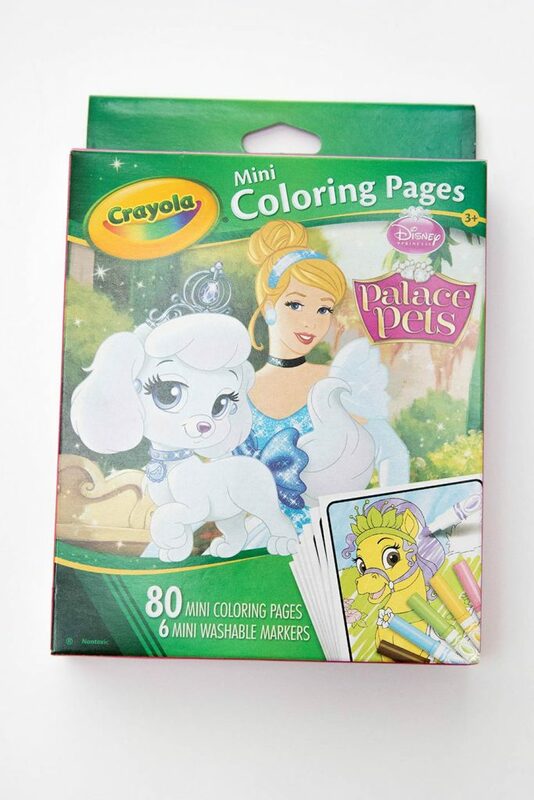 These mini coloring pages come with non-toxic markers that only color on the pages! YESSSS – no more mess! When I saw this, I instantly fell in love! 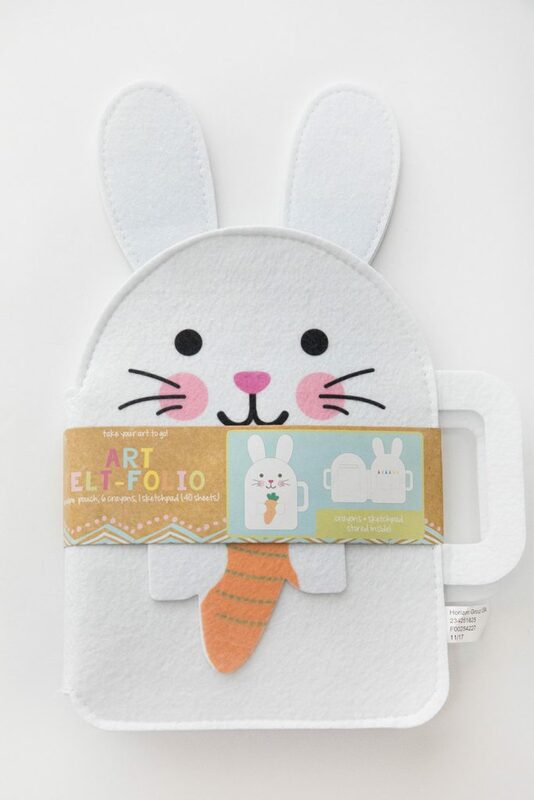 Look at the cutest little Bunny portfolio! I think this would be great for eating out or even at home. 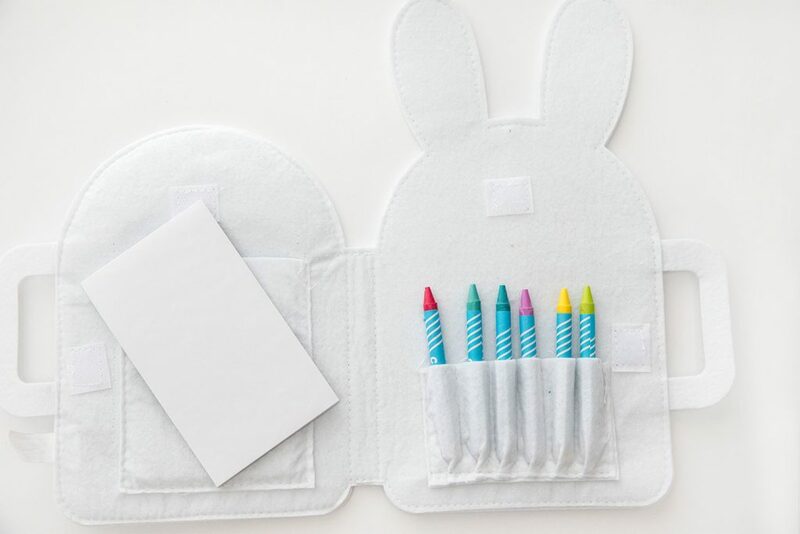 The portfolio comes with 6 crayons that fit snuggly in their little compartments and a pad of paper! Spring and Summer time mean more sunny days! 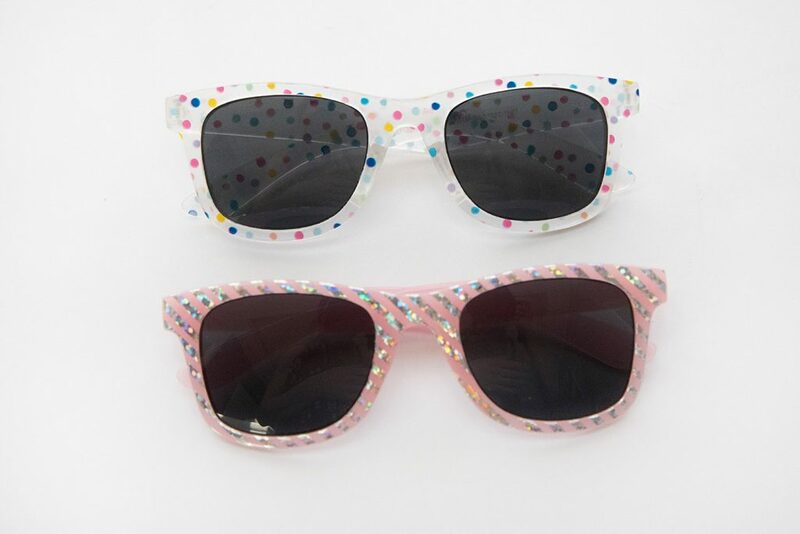 Protect your little ones eyes with a cute pair of sunglasses! My little bunny is always trying to take mine, so now she’ll have some of her own! Since they’re only $1 I don’t mind if she’s not gentle! 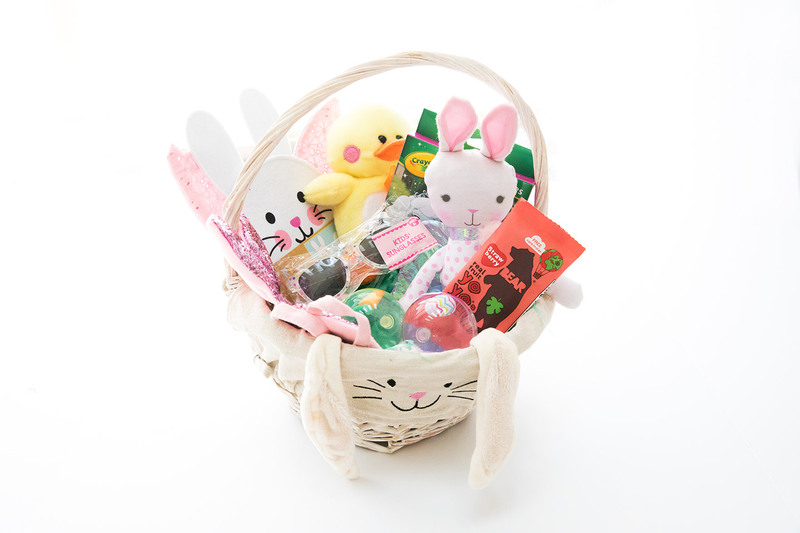 Stuffed animals are always a great basket filler! 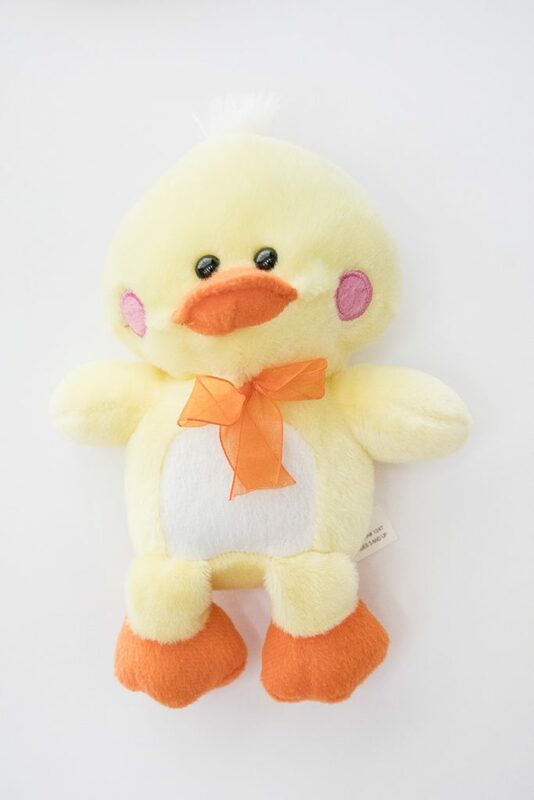 Soft and cute little friends to bring a smile to your kiddos face! My 16 month old currently loves ducks and she is always quacking! Guys! I recently discovered these 100% real fruit roll snacks from the UK, that has recently made its way over to the USA! They come in four delicious flavors: Raspberry, Strawberry, Mando and Apple! 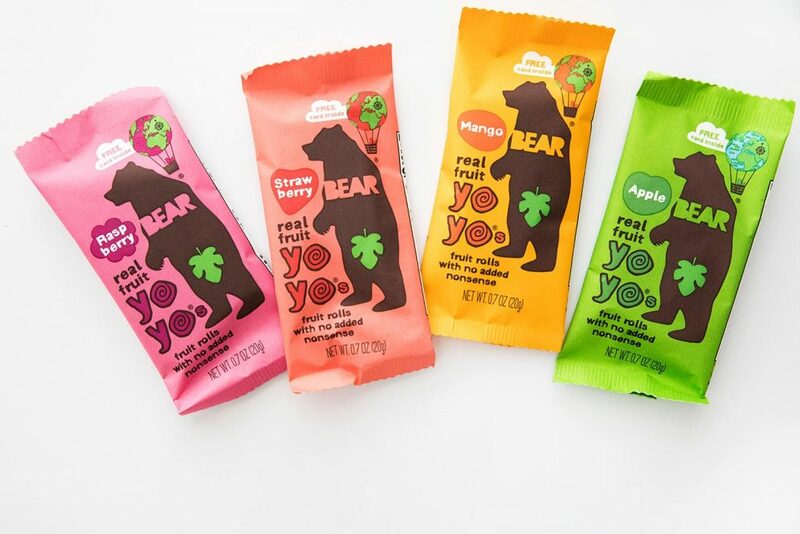 How cute is the colorful packaging?! Oh and I have to admit, I love this snack as much as my little one! 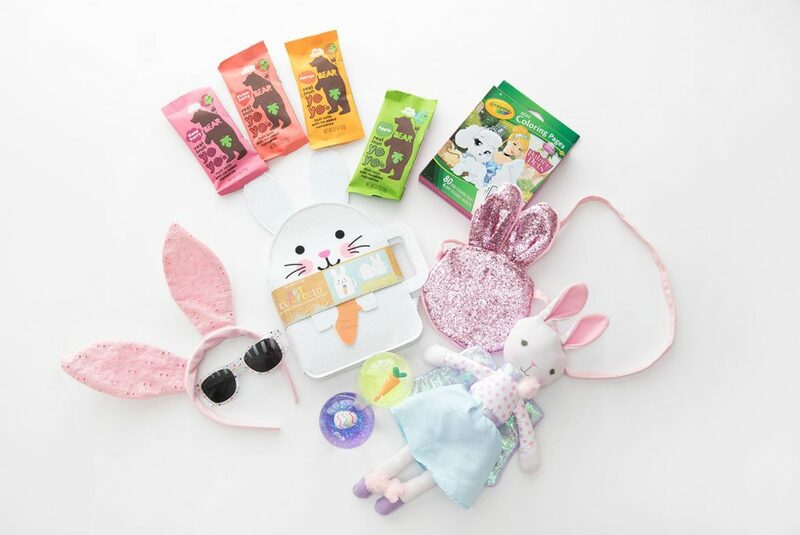 I would love to see what’s in your Easter Baskets! Send me a link in the comments below or comment if you used any of the same items I used!